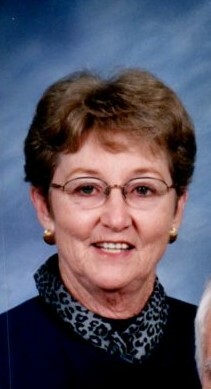 Betty Glasson passed away at her home in Portland TX on April 1, 2019. She died peacefully at the age of 87 years old with family at her side. Betty was a faithful member of the Portland Church of Christ. She was born in Houston Missouri on January 28, 1932 and graduated from high school in Houston, MO in the class of 1950. She was preceded in death by her parents, Homer Flowers and Mildred Crawford Flowers, one brother John Flowers, Sister Joyce Engle and one great grandson Cameron Boone. She is survived by her husband Bobbie Glasson; son Randy (Debbie) Glasson of Portland TX; daughter Ginger (Calvin) Engeldinger of College Station, TX; Three granddaughters Heather (Justin) Moore of Beeville, TX, Brittany (Kyle) Sisk of Baytown TX, and Amanda (Barret) Sassman of Bryan, TX. Five great grandchildren, Gunnar and Daylynn Moore of Beeville TX, Dylan and Camden Sisk of Baytown TX and Hunter Sassman of Bryan, TX. She also has a brother in law Roger Engle of Henderson, TX and a host of cousins, nephews, brothers, sisters in Christ from church and special friends.